This topic contains 287 replies, has 12 voices, and was last updated by Brydo 2 months, 4 weeks ago. Sorry guys the Link for above article wont paste, says it is spam. DS Automobiles is taking a step into the present with a new commitment to the ever-ambiguous fully ‘electrified’ lineup by 2025. 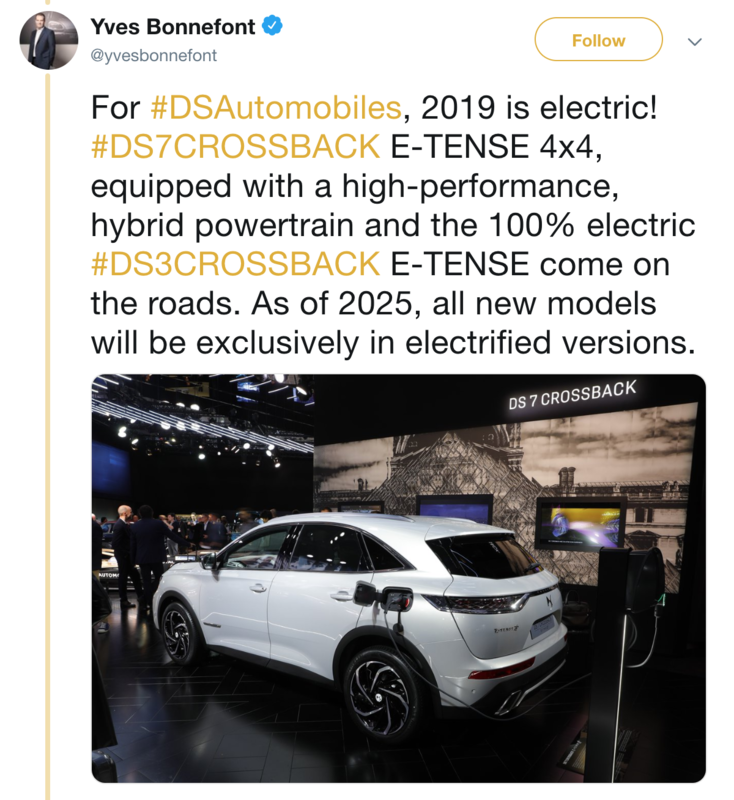 DS Automobiles’ CEO Yves Bonnefort took to Twitter to reinforce the company’s push into electric vehicles from the Paris Auto Show, where the company unveiled its updated plug-in hybrid DS 7 Crossback E-Tense and fully electric DS 3 CUV with an estimated 186 miles of range. Note the final paragraph, in Scotland the home charger will cost just £99 after grants are applied. Energy company ScottishPower has announced a partnership with dealer group Arnold Clark to offer electric-car buyers an ‘end-to-end’ zero-emissions electric-vehicle package, combining a 100% renewable energy supply with running an electric car. It lets buyers purchase or lease an electric car of their choice from an Arnold Clark dealer, as well as getting a home charging point installed and switching to a fully renewable electricity tariff with ScottishPower. The charging point works with an app to allow scheduling of charging to take advantage of cheaper off-peak electricity rates. Although all electric cars produce zero tailpipe emissions, running one can still contribute to CO2 output if the electricity used to charge it comes from non-renewable sources. The ScottishPower/Arnold Clark partnership aims to avoid this. In tandem with the partnership launch, ScottishPower commissioned a YouGov survey of 2,000 people, which indicated one in five adults who don’t currently own an electric vehicle, or aren’t currently in the process of buying one, will be considering either the purchase or lease of an electric vehicle by October 2021. Right now, just 2% of British adults own an electric vehicle. The survey also revealed some misconceptions and uncertainty about home charging points: 50% thought such points need to be the same size as a petrol pump, whereas in reality they’re a lot smaller. And 46% were unsure if they’d need new cabling to be installed at home in order for a charging point to work. ScottishPower promises no new cabling is required for the charging point being offered through its scheme. The point has a retail price of £899, but the £500 home charging point grant (subject to you having dedicated off-street parking) can bring that down to £399. Customers in Scotland may also be able to claim an additional £300 grant from the Energy Saving Trust, bringing the cost down to £99. Aston Martin’s new manufacturing site in St Athan, Wales is nearing completion and will become the firm’s centre for electrification, the company has confirmed. The site is already home to a workforce of 100 people, which will rise to 700 by 2020. The finishing touches are being applied to the factory, which will begin producing prototypes of the DBX SUV at the beginning of next year – the paint shop is fully installed and construction of the production line is under way. In addition Aston Martin has announced that along with the production version of the DBX SUV, which is set for a reveal at the end of next year, the Rapide E and the reborn Lagonda brand (comprising zero-emissions vehicles only) will also be based at the ex-Ministry of Defence site. Andy Palmer, Aston Martin CEO said: “A second production facility is a critical step in delivering our Second Century Plan. The St Athan facility will initially commence with the production of our first SUV but will ultimately be a global centre of excellence for the production of luxury high performance EVs, including Lagonda: the world’s first luxury electric automotive brand”. The British brand is investing an additional £50m in St Athan to make it its designated centre for electrification. The move suits the production DBX (likely to be called Varekai) almost as much as the Rapide E, because Aston’s debut SUV is likely to feature a hybrid petrol-electric powertrain. It may be a name from the past as far as UK buyers are concerned, but the reborn Toyota Corolla has every chance of looking bang up to date when it lands in British showrooms next spring. The Corolla is Toyota’s best crack at a proper Ford Focus and Volkswagen Golf rival for a generation – and not just because the Japanese manufacturer has at last delivered the sort of decent chassis that family car buyers demand. The fact that it’s built in Britain isn’t the key factor, either. No, the Corolla feels like the right car at the right time because, while there is technically a 1.2-litre pure-petrol version available in some other markets, UK Toyota dealers won’t be stocking it or selling it – officially. The new model’s line-up is exclusively electrified, therefore, and mainly based on a 1.8-litre hybrid powertrain that has a lot in common with that in the Prius and C-HR. However, the scale of Toyota’s ambition (and opportunity) with the Corolla is really demonstrated by the new 177bhp 2.0-litre hybrid that we’ve tried this week. Prices and specs mean that it may not ultimately prove to be the pick of the range, but the fact that it has been created at all, specifically for European customers who may consider switching from a 150bhp-odd turbo petrol or even a 2.0 diesel, shows Toyota’s engineers are well tuned to the way the new-car market is shifting. Will this all-hybrid hatch succeed where its predecessors failed? There’s no doubt that Toyota’s hybrid powertrain still requires a different driving technique. 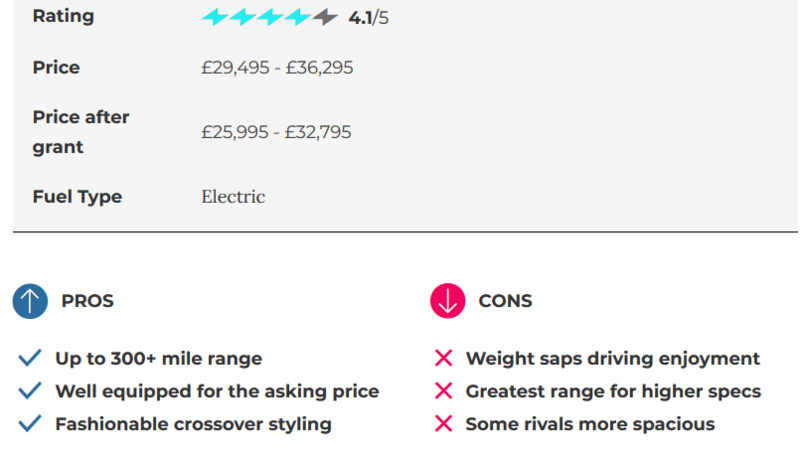 But the ever-increasing number of people looking for reviews of electrified vehicles on our website – and our recently launched sister site DrivingElectric.com – suggests more potential customers than ever are willing to give it a try. 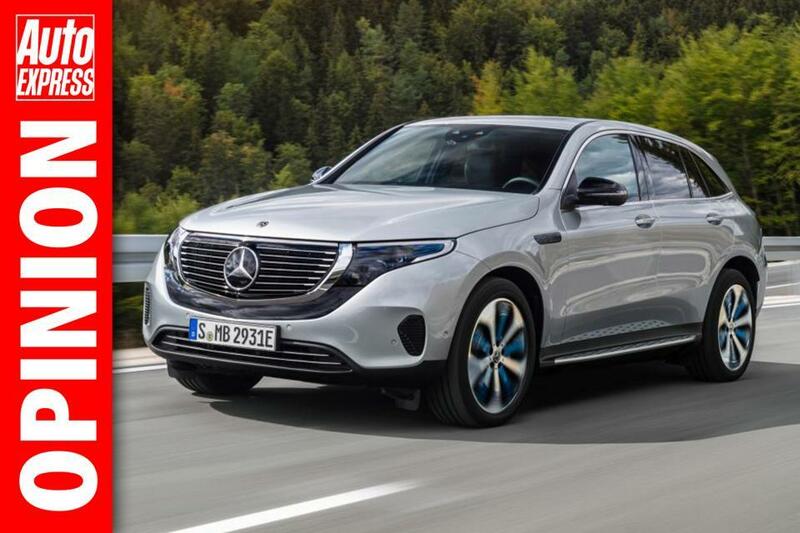 Yes that is a diesel plug-in hybrid, obviously it will never appear on the scheme but the fact it is diesel makes it worth a read. Mercedes is now taking orders for the saloon and estate versions of its new E 300 de diesel plug-in hybrid car. 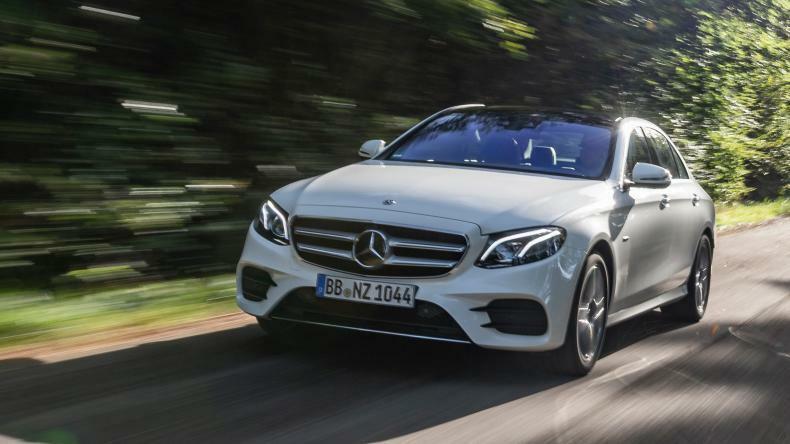 Prices start at £47,700 for the saloon and £49,700 for the estate in entry-level SE form, rising to £50,195 and £52,195 respectively for AMG Line trim. The new model aims to combine the efficiency of a diesel engine on long-distance motorway runs with zero-emissions capability for short-distance and urban driving. Power comes from a 194hp diesel engine paired with a 122hp electric motor drawing energy from a 13.5kWh battery. If you have, or are thinking about purchasing an electric vehicle thanks to their green credentials, you might be disappointed to find that the electric grid they are charged from still relies significantly on fossil fuels. True, the use of renewables, including wind and solar, is on the up, with the grid becoming greener each year. But for some this isn’t enough, especially if there are savings to be made. It turns out you can power your electric vehicle through electricity made at home, either through solar or wind power. Read on to find out how. The easiest way to power your electric car at home is to install solar panels on the roof of your house. The more panels you have, the more electricity you’ll be able to generate during sunny days and weeks. Current estimates in the UK suggest a small 1kW system can generate 850kWh of electricity a year, enough to fully charge an electric car, like the Hyundai Kona Electric 64kWh over 10 times. Increase the size or quantity of your solar panels, and you’ll generate more power. It’s important to note that solar panels cannot store energy. So your electric car can only be charged by the panels when its sunny. To store energy from the panels, you will have to invest in a home battery system, like the Tesla Powerwall, or Nissan’s xStorage. These are lithium-ion battery systems that can store energy generated by solar or other means for use later on. However, the power you generate won’t be wasted, as it’ll flow back into the national grid – and you’ll be paid for it too. The whole system isn’t cheap, even taking into account government tariffs and subsidies. This is a much rarer option, and rarely seen in the UK, but it is possible. Much like solar power, wind power can be used to power your home and your electric car. Wind turbines make sense, too, given that 40% of the wind energy in Europe flows through the UK. If your house is situated in the right area, a home turbine can bring in big savings, but it’s vital you speak to your local authority as you may need planning permission. Wind turbines also benefit from the same Feed-in-Tariffs that apply to solar panels – for every kWh energy generated by either solar or wind, your energy supplier pays you back a certain amount. Much like solar panels, though, wind energy cannot be stored by the turbine. To do so, you will have to purchase a separate home battery system. Ask Motability why this isnt on the scheme! The BMW ‘other reasons’ for profits being down is the need to subsidise the cost of cars in China due to increases in costs in that region because of the tariffs introduced by the US-China trade war. 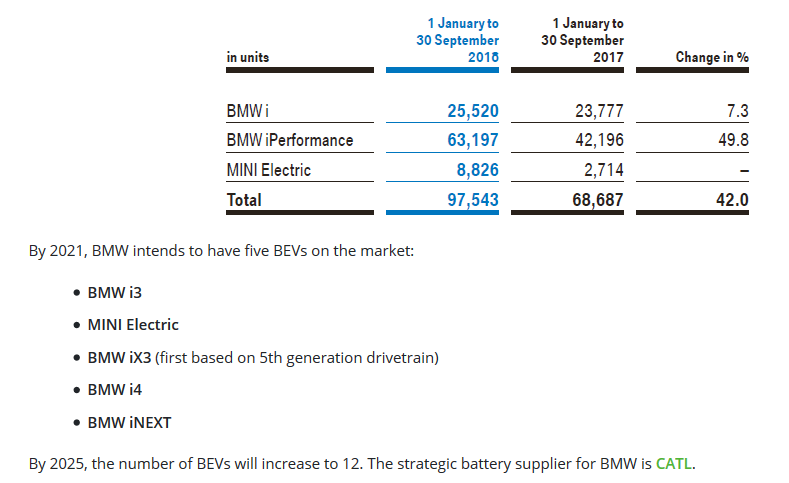 BMW would rather subsidise the cost than lose sales. There is no doubt automated vehicle technology will have a hugely beneficial impact on road safety. Experts believe that autonomous emergency braking (AEB) alone has the potential to save 1,100 lives and reduce UK casualties by more than 120,000 over the next 10 years. And with multiple studies finding in excess of 90% of road incidents are caused by human error, increasing automation will provide a smooth path to significantly reduced casualties. Won’t it? Looks like government and local council subsidies could very quickly become a thing of the past for PHEW and hybrid cars after this report on unscrupulous companies. I seen that Chris, now I understand why they cut the grant? Oscarmax a few years ago I thought hydrogen was the answer to reducing co2 and it may still have a part to play in greening this world of ours. Tesla however changed the game with the range of their ev cars. 300+ miles on a single charge, home charging for the masses the promise of cheaper models encouraged other manufacturers to jump on the band wagon. 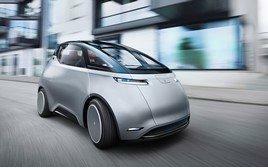 Swedish car manufacturer Uniti has chosen to manufacture its new electric city car in the UK. The announcement came just as Wiltshire-based Dyson said its plug-in car will be built in Singapore. Uniti will have a pilot production facility at Silverstone near the home of UK Formula One to build its One two-seater model with the first units ready by 2020 and expected to be priced at around £13,000. Sales will be direct through Uniti rather than a traditional dealer network, with the small electric city car a potential pool car for employers keen to cut emissions. Lewis Horne, Uniti chief executive, said the UK was chosen due to the expertise available on carbon vehicle production and its position as a key market for future sales. Uniti has already employed a team of engineers at a research and development centre in Northamptonshire and has partnerships in place with KW Special Projects (lightweight structure and additive manufacturing), Danecca (EV powertrains), Unipart (global supply chain) and Siemens (manufacturing software). Uniti has also set up an office in London to manage its UK operations. Uniti plans to unveil its production models late next year and deliver vehicles to pre-order customers throughout northern Europe shortly after. The One is yet to pass crash safety tests, but it will undergo this process before launch. Horne’s plan is to use the UK production site as a template for manufacturing in other countries to help ramp up production to around 50,000 units a year. If Uniti can prove its concept with the One, there will be four- and five-seat models in the future. The One city car has a potential range of between 93 and 180 miles (dependent on whether fitted with a 15kWh or 24kWh lithium ion battery) and a top speed of 80mph. The vehicle will be aimed at commuters who often travel short distances at low speeds. The seating position set-up is similar to a Renault Twizy, with the driver sitting in the centre and a small passenger seat positioned directly behind. Horne said: “Numerous studies also show that, despite the benefits of emissions-free mobility, modern electric cars are only fractionally more sustainable than their fossil fuel counterparts – when their entire lifecycle impacts are considered. Horne says Uniti will differ from other EVs in that it will be made from composite materials that can be optimised for sustainability while still passing or exceeding the safety and mechanical standards of heavy, steel framed vehicles. Uniti’s decision to build EVs in the UK is in contrast to Dyson, which has also revealed that it will start building vehicles, but has chosen Singapore as a base. Dyson, famous for its vacuum cleaners, is investing £2.5 billion in its EV project and is expecting to have a model available by 2021. The company has already invested £200m in a research and test track facility with a team of 400 at Hullavington Airfield in Wiltshire and will expand this to add motorway, off-road and high-speed testing facilities. The company has operations all over the world and the decision to base production for the EV in Singapore was influenced by the fact it already has a factory there that makes the motors for its other products. It will also act as a gateway to the lucrative Chinese automotive market. While the first EV from Dyson is due in 2021, concrete details about what will power it, the range it will have and what segment it will be in have not been given due to the company’s secretive approach to giving detail on products in development. However, it is rumoured there will be a three-car line-up in the future and Dyson will be targeting the premium end of the market at relatively low volumes. Dyson may also be handed a competitive edge against more established rivals by introducing solid-state battery technology that offers higher capacity and faster charging options compared with current lithium ion battery technology used in most EVs today. he world of automobile manufacturing is in flux, driven by the winds of change created by Elon Musk and his band of merry pranksters. Some established companies may disappear in the next decade, consigned to the dustbin of history along with such former brands as Packard, Plymouth, and Pontiac. At the same time, there is a welter of new companies getting into the car business, from Uniti in Europe to Nio in China. Citroen’s C4 Cactus has only just been facelifted, but an all-new model is set to arrive in 2020 with a model range featuring a battery-powered version. The electric C4 Cactus will be Citroen’s first all-electric car since the C-Zero, with every model in the Citroen range set to feature some form of electrification by 2025. The new Cactus is set to shift onto the PSA Group’s Compact Modular Platform (CMP) that will also be used for next year’s new Vauxhall Corsa and Peugeot 208, before being rolled out across the rest of the group’s small car range. That platform is capable of full electrification, with the new Cactus offering electric power alongside petrol engines from launch. As with the original C4 Cactus, which was launched in 2014, the new model is set to usher in a new style for future Citroens, with the new look said to be based on the CXPERIENCE concept from the 2016 Paris Motor Show. Citroen announced at this year’s Paris show that its new C5 Aircross SUV will feature plug-in hybrid tech from next year, but EV fans will have to wait another year for a fully electric Citroen. However, Citroen has confirmed that it will be showing a fully-electric concept at next year’s Geneva motor show as part of its centenary celebrations. The show car will be one of two, with the first focusing on Citroen’s vision of future mobility, but retaining the ‘spirit of the 2CV’. A teaser picture shows a stylish new take on a door handle, while Arnaud Belloni, Citroen’s Senior Vice President of Global Marketing Communications, told us, “If the original 2CV was for farmers and people who live in the country, our new concept will be for city dwellers”. A second centenary concept will be unveiled at April’s Shanghai motor show. It, too, has been teased with what looks like hi-tech sensors on top of the car. It’s set to reveal a different and larger take on the future of autonomous driving. Here we have a beautiful short movie from Troy Nikolic about the endless possibilities to influence lives with autonomous driving. Currently, we are not yet able to drive autonomously, but the first such cars should be able to within several years and it really could change peoples lives and open the world for them. The video includes Tesla as an example vehicle that could take a passenger for a ride as Tesla, with its advanced driver assist system – Tesla Autopilot – is seen as a pioneer for the upcoming full self-driving cars. “I wrote and directed this branded short to showcase the potential of autonomous driving vehicles. I believe in the future of autonomous driving and if I can show people, even for one second, that there may be some inspiring or practical uses of the technology, then that’s wonderful. Anyways, the developments moves forward and passengers can take a ride to experience what it’s like to be driven by a robot. 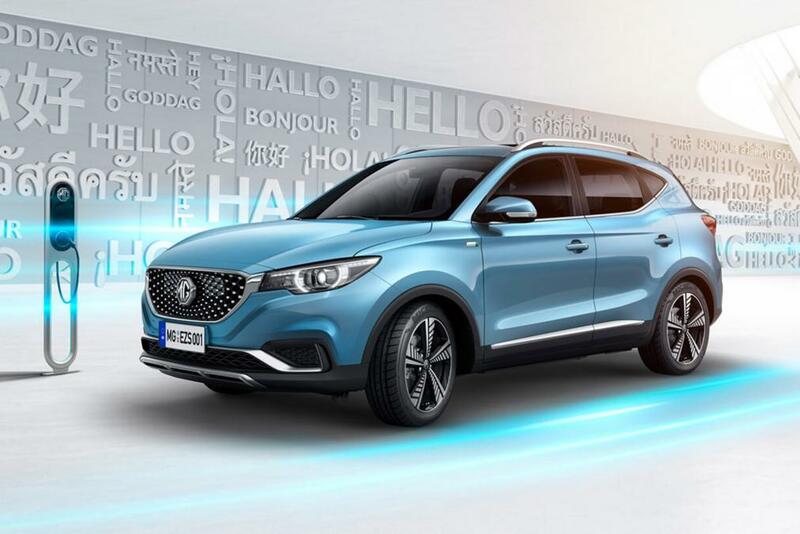 MG has unveiled an all-electric version of its ZS SUV at the Guangzhou Motor Show. Inside, the eZS has a further evolution of MG’s cockpit layout and infotainment system, with a glossy central display and a digital screen between conventional dials in the instrument panel. The exterior looks relatively normal by EV standards, with what looks like a conventional front grille, although none of the official images issued by MG shows an obvious charging port and it could be accessed under the MG badge. There are no immediate plans to sell the eZS in the UK although increasing demand for EVs means that it is likely to join the firm’s compact range in due course. The biggest obstacle to this could well be fulfilling demand in SAIC’s native China, where EV sales are booming. 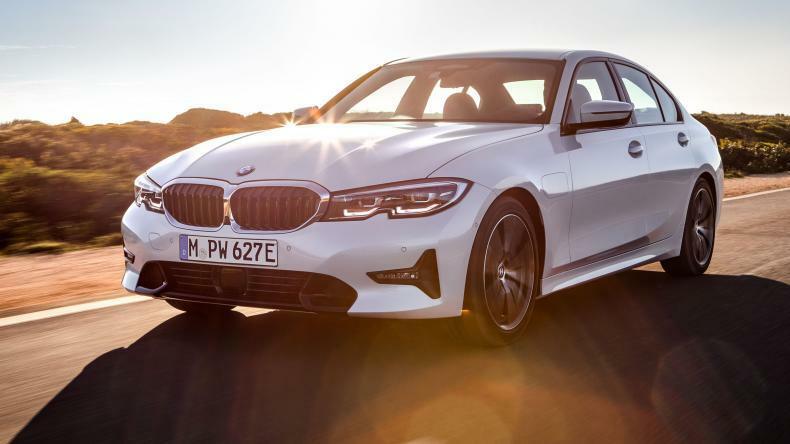 Full details of the new BMW 330e plug-in hybrid saloon have been released, ahead of the car going on sale in July 2019. Prices and exact specifications for the UK market will be revealed closer to the on-sale date, but for now BMW has revealed plenty of technical information about the new car. The brand says the new 330e is 30% faster than its discontinued predecessor, as well as delivering 50% greater all-electric range and emitting 10% less CO2. It features a system called ‘Xtraboost’, which will supply an extra 41hp on top of the hybrid engine’s standard 252hp at the push of a button, for a maximum of 293hp. The new 330e is powered by a 184hp 2.0-litre four-cylinder twin-turbo petrol engine, combined with an electric motor with a continuous output of 68hp and peak output of 113hp. Total output of the whole system is 252hp, with the Xtraboost system increasing that by 41hp to 293hp when called upon. Going from 0-62mph takes six seconds and the car has a top speed of 143mph. Maximum speed in pure electric mode is 68mph and BMW promises a potential zero-emissions range of 37 miles. Claimed average fuel economy is 138mpg and CO2 emissions are 39g/km. A “suitably throaty engine noise when the car is put through its paces” is also assured, while an acoustic pedestrian protection function generates a sound when the car is in electric-only mode, to warn pedestrians of its presence. The car’s 12kWh battery can be charged from a public or home charging point, and is also topped up while you’re driving by a regenerative braking system. With the battery under the rear seats and the fuel tank under the rear axle, luggage capacity is 375 litres – 105 less than the standard 3 Series’ figure of 480 litres. I have read today the Chinese have announced a break through in solid state battery technology ? We need Brydo on the case.